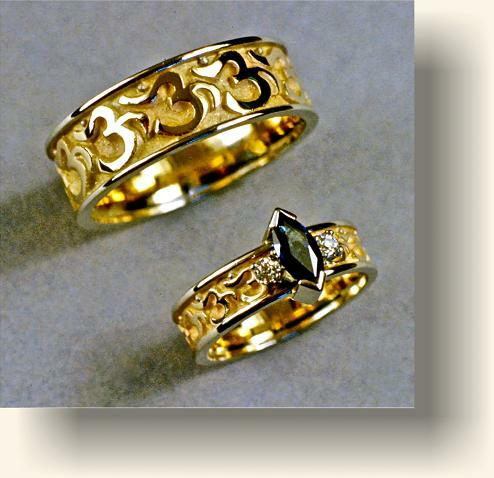 Wedding & Engagement rings with a Sanskrit 'Om' symbol motif. Fabricated from 18 karat yellow gold with Platinum borders. The Engagement ring has Platinum set Diamonds and a marquis cut Sapphire..